The famed chef began filming in Michigan this weekend, but many details are unknown. Mario Batali is one very busy guy. Between hosting The Chew, running an empire of more than 30 restaurants and Eataly locations and dispelling some very honest financial advice, Batali is basically a human Visa card (he’s everywhere you want to be). If that wasn’t enough, though, Batali has just revealed that he’s adding another venture to that ever-growing a list: a new TV show that he’s making with Zero Point Zero Productions of No Reservations, Parts Unknown and Mind of a Chef fame. Over the past few days, Batali has posted a number of photos on Instagram that document a shoot in Northport, Michigan, a location that Batali and his family summer in annually. The big difference, however, was the presence of a full film crew, along with actress Maria Bello. The photos show the Zero Point Zero team on location, setting up equipment and there’s even a shot of Batali, Bello and ZPZ Producer Krista Rune together. Oddly, actor Neil Patrick Harris is also tagged in the photo, however, there’s no word yet on his involvement with the show. When reached out to for comment, Batali’s team could only confirm that he is collaborating with Zero Point Zero on a new series and that more details will be released as they become available. While Batali hasn’t posted any more production shots in the past 24 hours, he has shared photos of his dog at a local café, an impromptu yak sighting and a dinner spread that made us all envious of those Batali invited over for dinner. Simply put, Mario Batali is truly winning at summer this year. 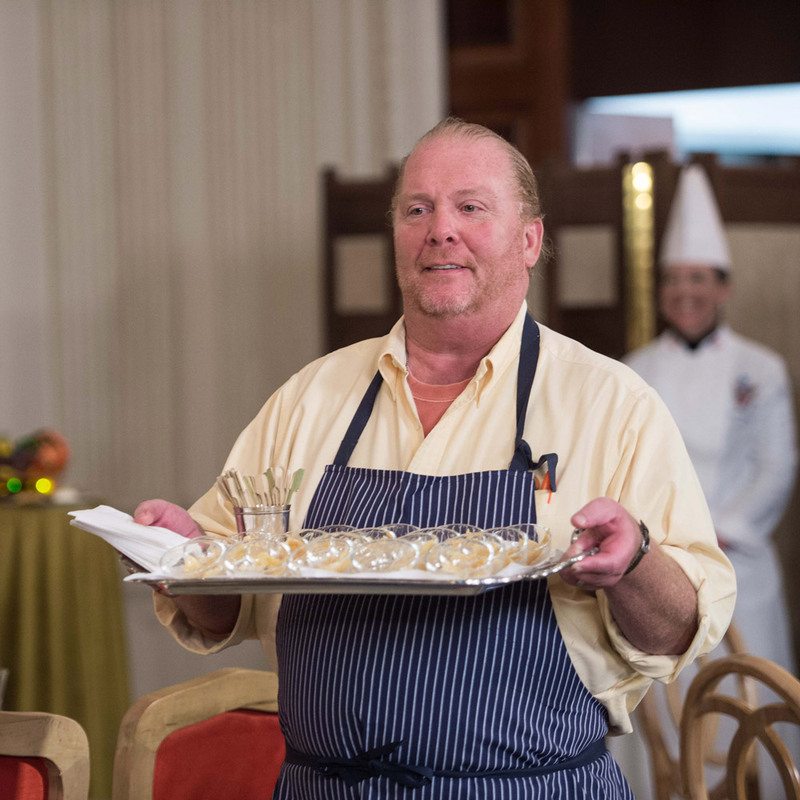 We will keep you posted on any additional details of the new show as they become available and in the meantime, enjoy Batali's most recent appearance on The Tonight Show as the host of "Secret Ingredient."